Oakland Raiders coach Jon Gruden has been impressed with Marshawn Lynch this season. 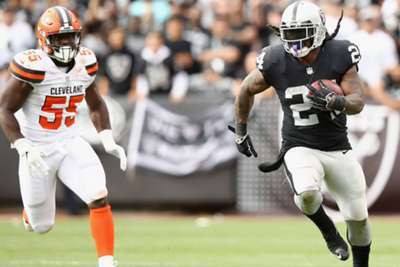 The 32-year-old running back had his best game of the season against the Cleveland Browns as he rushed for 130 yards in the Raiders' 45-42 overtime win. Gruden praised Lynch's performance during his news conference on Monday. "If that's not a Hall of Fame back, I don't know what is, honestly," Gruden said (via ESPN). "What he did yesterday, what he's done since he's been here, it's incredible. He wants the ball more, and more, and more. "This guy [Lynch] does not want to come off the field. 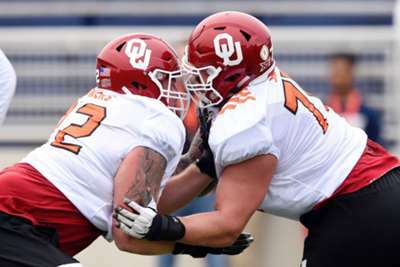 He picked up six or seven blitzes yesterday, too, that no-one's talking about. But some of the runs? Good night." The offense went and had itself a day on Sunday. Lynch is currently fourth in the NFL with 300 rushing yards through the Raiders' 1-3 start to the season. "Some of the runs he's making, some of the finishes that he's putting on tape, it's unbelievable," Gruden said. "I don't see many guys run like this." Oakland will face the Los Angeles Chargers in week five action on Sunday.